For those of us living in Iceland, the notion of living in a currency control regime that was instituted in Iceland after the financial collapse in 2008 is draconian. I understand why the currency controls are needed, to prevent capital flight to stabilize the fluctuations of the Icelandic Krona (ISK) and to ensure price stability within the country. The Central Bank of Iceland is caught between a rock and a hard place, on the one hand they want to release the currency controls and on the other hand they don’t feel that they have the tools to stop the flood gate if there is a capital flight, the risk is the overhang of ISK denominated Glacier Bonds that were issued by the Icelandic banks before the collapse. The hypothesis IMHO is that if the currency controls are released then the Glacier bonds will be dumped and whatever foreign currency reserves that the Central Bank of Iceland is holding will be utilized just to pay for that redemption pushing the Country back to the same state as it was in 2008. Iceland was not bankrupt it just ran out of foreign currency to pay for all the goods and services that Iceland imports. Yes, this is a legitimate concern and it could potentially happen. The problem with policies that are put in place like it was done in 2008, is that it is a one size fits all. We know that one size does not fit all issues. That was a long preamble, but coming back to how to remove the currency controls. Lets think about what needs to be in place to release currency controls? In order for a free flow of currency there needs to be a balance of ISK to other currencies and we know for a fact that is not the case. When there is a mis-match with Demand and Supply of any underlying currency to ISK, the price of ISK will have to adjust to make the transaction happen. 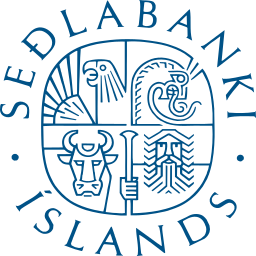 The Central Bank of Iceland has the power today to refuse to participate in a market transaction because of the currency control, in a regime that does not have the currency control the Central Bank cannot refuse to participate and has to allow the transaction to happen. Given the above premise, I have argued since the Currency Control policy was put in place that Iceland will have not leave this regime for the foreseeable future. I even wrote a paper about it and it was published in the University of Iceland annual journal. So how are we going to release the currency controls in Iceland? I have a simple solution. Just inform all those institutions that hold on to the Glacier Bonds that they can redeem their bonds in Bitcoins, yes, I said it, in Bitcoins. How can the Central Bank of Iceland get Bitcoins you ask? well, we have the cheapest energy in Iceland, real estate is also relatively cheap, there are a number of Data Centers being developed. The Central Bank of Iceland and the Government of Iceland can mine Bitcoins and pay the owners of Glacier Bonds in Bitcoins. If my estimates are right we can do this with less than a $10m investment in gear and teams that could mine Bitcoins in Iceland. This will take the pressure off the ISK, allow the common citizen of Iceland to actually buy a book in Amazon and pay for it and get it delivered. It will be unprecedented and simple to execute. I think it is a relatively small investment to get Iceland back on even ground. What do you think?